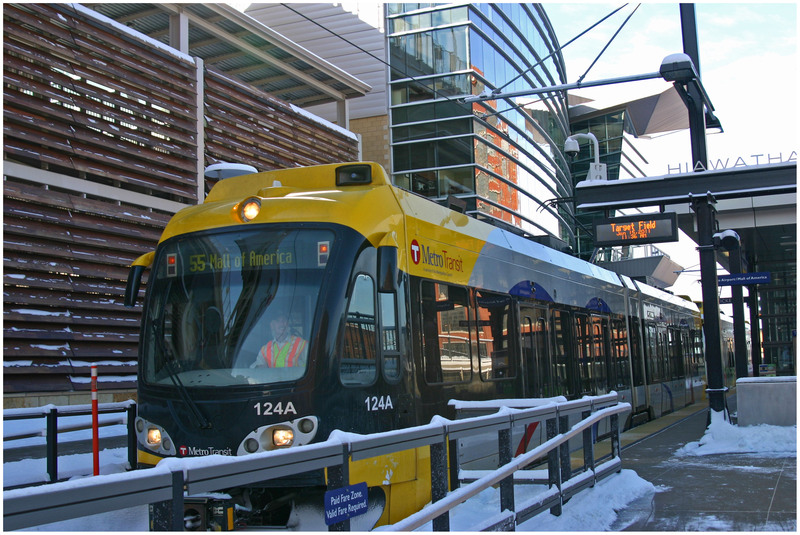 I spent a quick two-and-a-half days in Minneapolis in mid-January to study their light rail system and explore the city’s urban core. During my stay I was able to explore Midtown, Lowry Hill East, Downtown, Warehouse District, Loring Park, Uptown and some other areas very briefly. The city was expectedly cold, but I quickly learned why Minnesotans are such a hearty and down-to-earth bunch. The winters humble and challenge you. The Hiawatha light rail line was small but well executed. The system utilizes modern rolling stock that includes low floors and is ADA accessible. The stations are nice, although suburban and off the beaten path in many locations. The best element, of the system, is that it connects major nodes with one another. The Mall of America, airport, football stadium, ballpark, arena, central business district, nightlife and government operations are all connected. The system will be vastly improved when it is expanded to St. Paul in the near future. I will discuss specifics on Minneapolis’ transport network in a forthcoming op-ed. But for now, enjoy this brief collection of 37 photographs from my trip to the upper Midwest in the dead of winter.